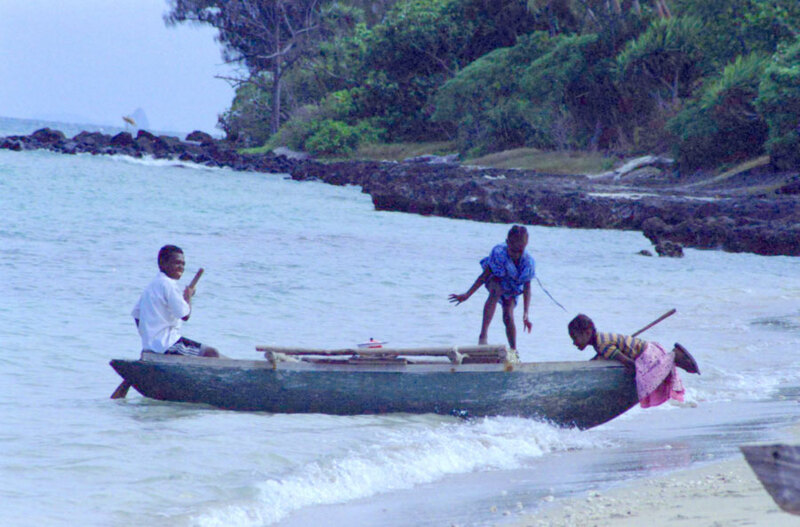 The young boy at the stern of this canoe had just paddled across the deep but narrow channel between Nguna and nearby Pele island. The currents in this channel are swift and constantly shifting, but he managed the trip without apparent difficulty. He had no sooner arrived when two young girls came running up to play on his canoe. Nguna is one of several small islands a few miles off the coast of Efate in Vanuatu. 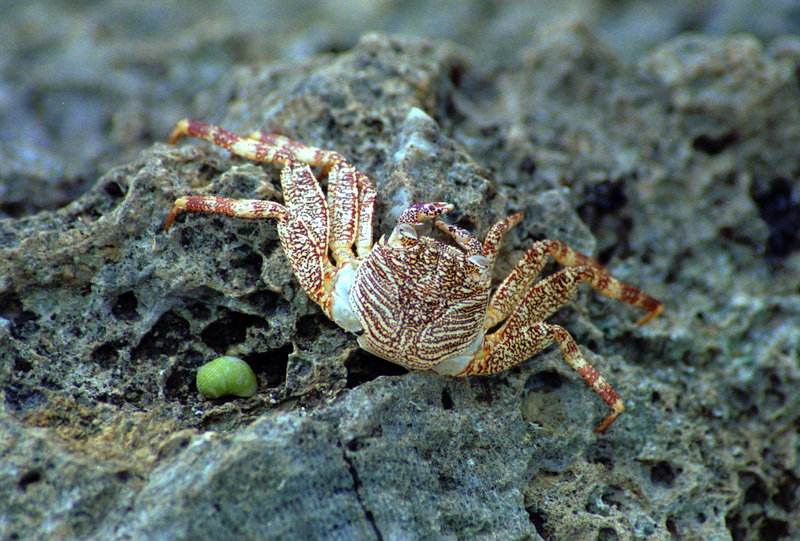 The beaches of Vanuatu are rife with small creatures scuttling about. 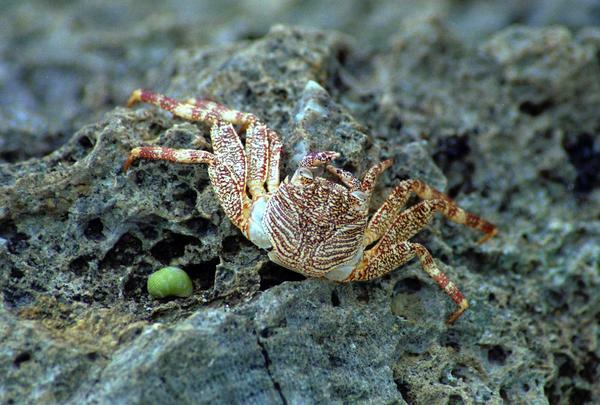 During one stroll on a beach I was so intent on avoiding the thousands of hermits crabs underfoot that I knocked myself silly on an overhanging mangrove branch. 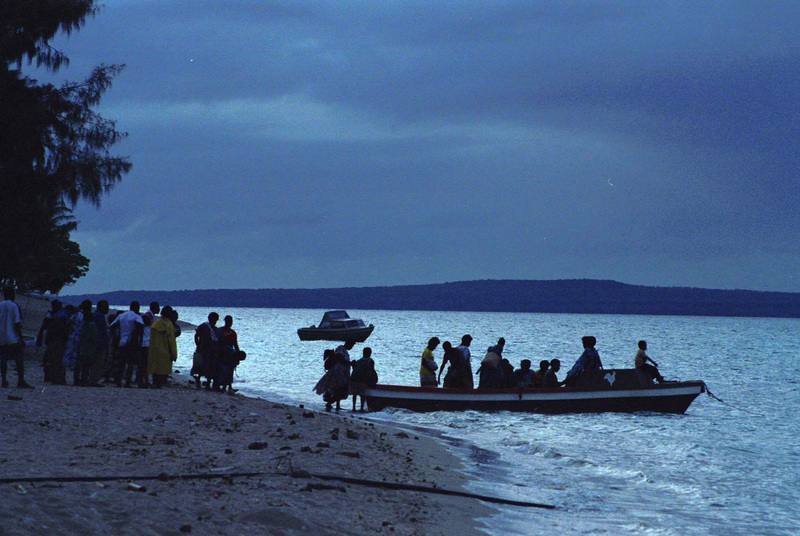 On the third night of our stay on Nguna, one of the elderly residents died. 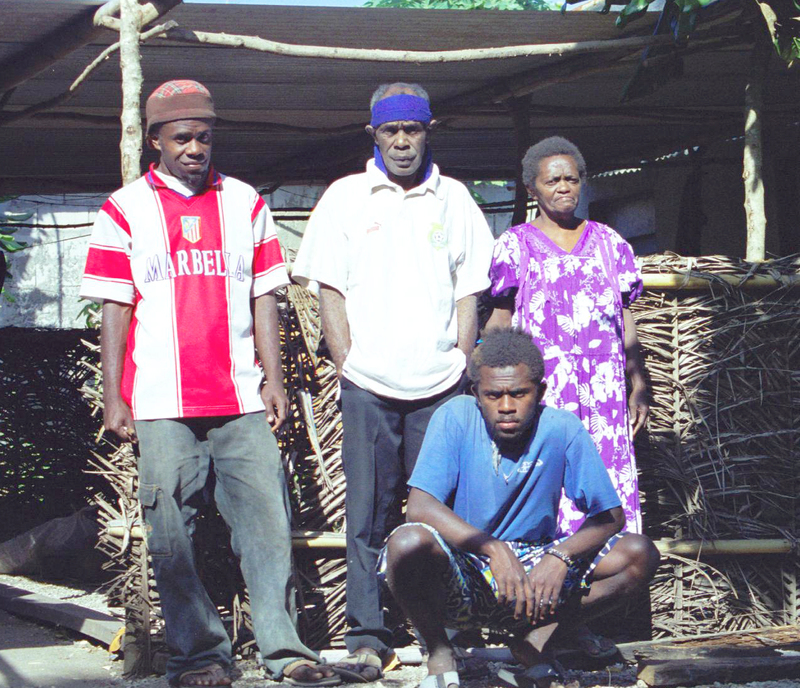 A large number of family arrived from nearby Efate the next morning, and departed early that same evening. 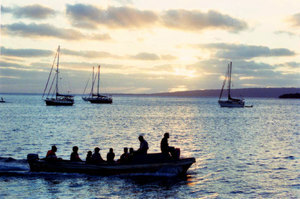 Boat travel at night is unusual in Vanuatu. On my last afternoon on Nguna Island, I took this photo of my adoptive family. I had thought that the terms 'papa', 'mama' and 'brada' were only a formality - until my mama looked at me with tears in her eyes as I prepared to leave. My papa's head is bound in a strip of terry cloth. He'd been suffering from a headache brought on by a recurrence of malaria. The local nurse gave him aspirin for the pain. I took this photo because I was struck by its similarity to <a href="imageview.html?img=fiddleheads-2a.jpg&img_size=600">this photo</a> that I had taken one far-off Spring in Canada. 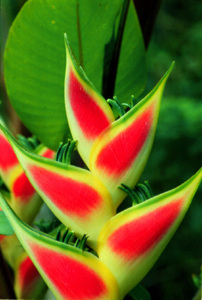 A flower in the Mele Botanical Garden, near Port Vila, Vanuatu. Two views of a flower from the Botanical Gardens at Mele, about 15 minutes drive from Port Vila. As with all of the small islands that surround Efate, the only means of access is by small boat. Having gained the permission of the young boys perched on the bows, I took this photo of our small contingent during the crossing. Wearing life jackets are Lyn and Hezbourne, fellow volunteers. 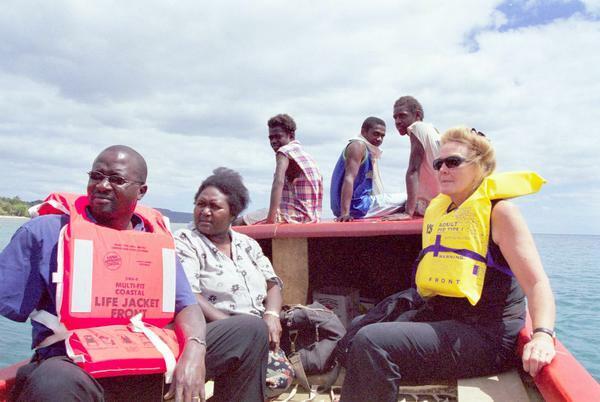 Not wearing a lifejacket is our Bislama teacher and interpreter, Joy. The boys did their best not to giggle at the nervousness expressed by the newcomers when the wind picked up and we felt the first small ocean swell. On our last full day in Nguna, the men insisted that we should walk to the top of the hill at whose base the village sits. The walk took us through a heavily forested area interspersed with small plots on which taro, yam, popo (papaya) and a wide variety of other 'island food' were grown. 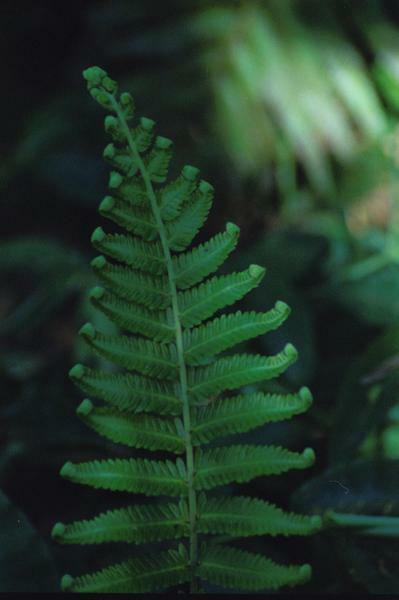 This fern is gathered and used as food, much as fiddleheads are in Canada. This was the view from the top of the hill nearest our village on Nguna. 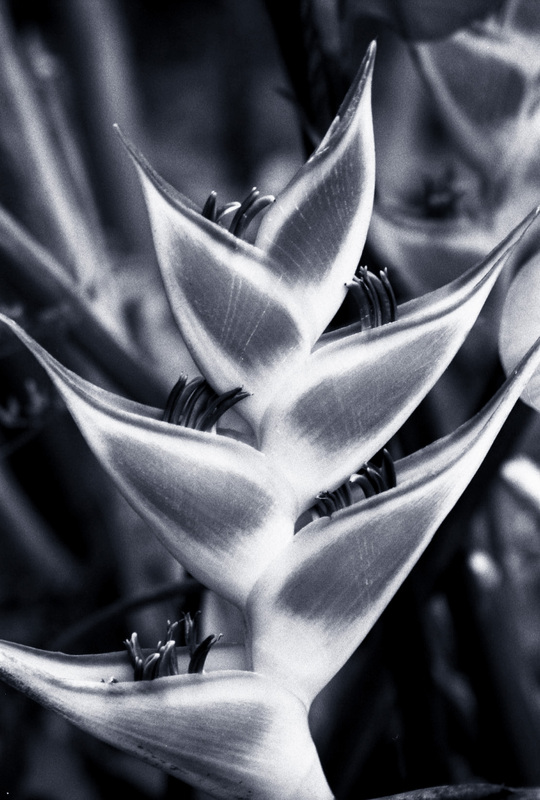 As a photographer, I was glad for the haze, that added texture to the image. As a human being unaccustomed to the heat, the light cloud cover was a blessing, too. There is a strong contrast between those boats that work and those that play for a living. 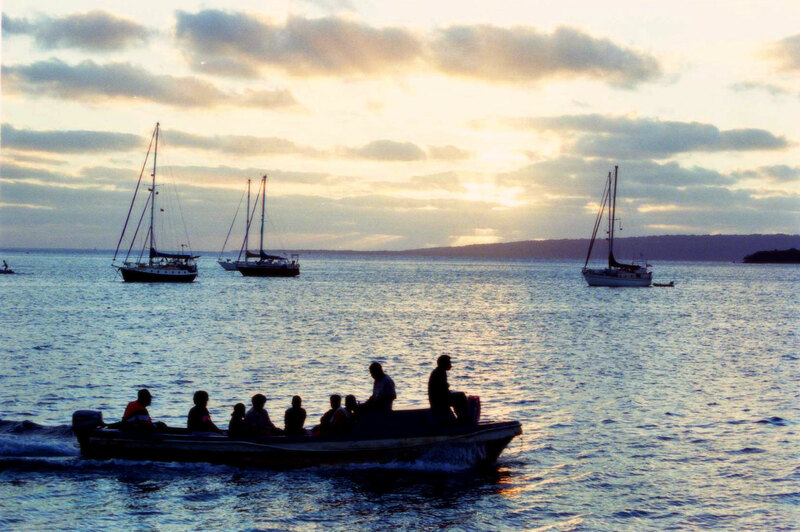 Passage from Ifira island to Port Vila is 200 vatu - about USD $2. 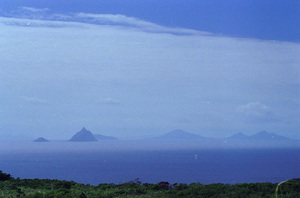 The islands of nearby Pele and Emau in the distance are Nguna's closest neighbours. 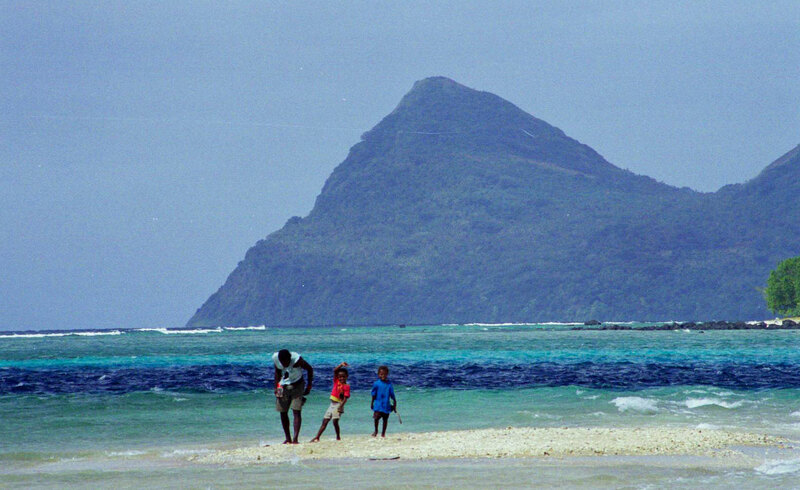 Villagers told me that it's possible to swim across the channel to Pele from this beach. I never tried because I could see how fast the current was running. 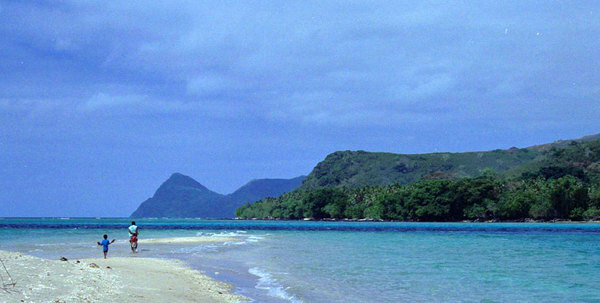 Vanuatu's islands tend to come in two varieties: Volcanic islands with sharp peaks and coral atolls. 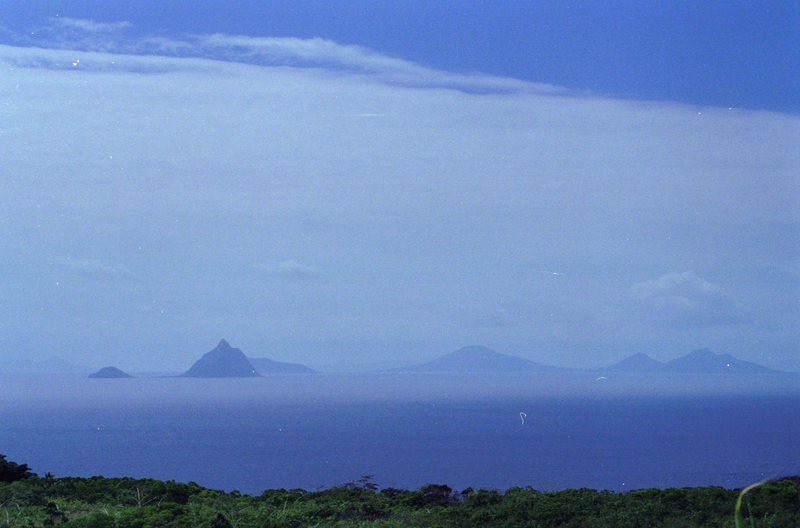 The view from the top of Nguna island shows a number of the former. 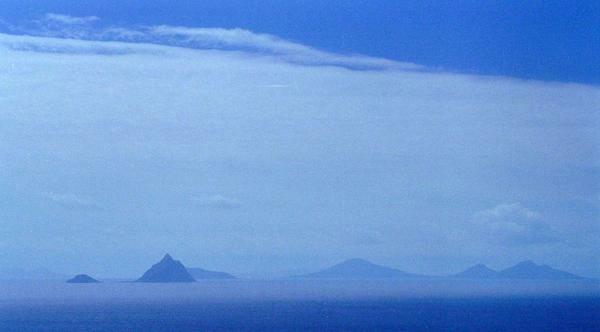 The sharpest island, to the lower left, rises about 1000 feet straight out of the ocean. It's unforested, inhabited only by nesting seabirds.